This piece started out with me printing an image onto calico. The image is courtesy of The Graphics Fairy, a wonderful source of free images and I used Lesley Riley's TAP (transfer artist paper) to print the image and then iron on to the fabric. 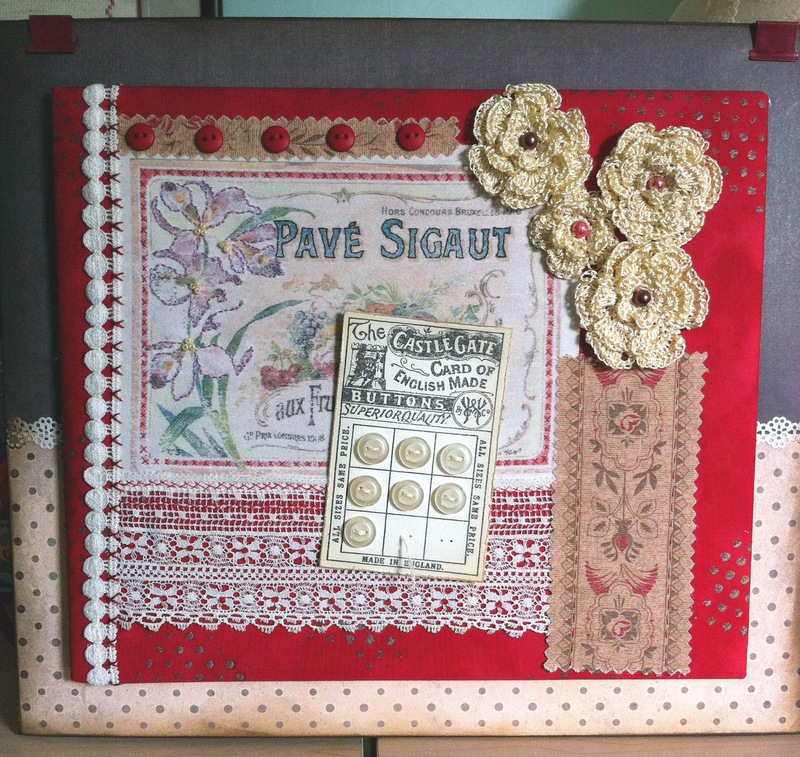 I added bits of fabric, lace and trim, some flowers I'd crocheted, buttons, beads and stitching. But then it sat half finished for a few months because it lacked a focal point and in spite of trialling several solutions nothing seemed to look right. Then for Christmas I had a set of sewing themed stamps from Toodles and Binks which includes a button card image and after stamping that out and adding buttons I had my focal point. 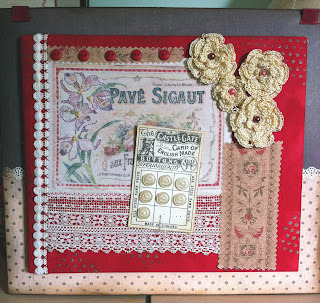 I mounted the fabric onto mounting board covered with scrapbook papers. I quite like it now!